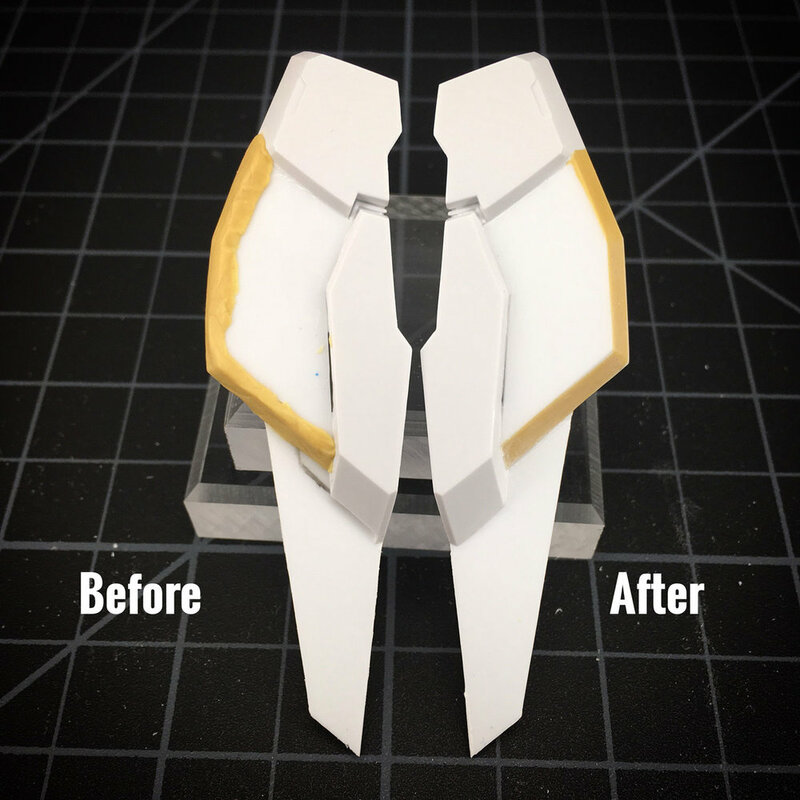 Join Justinius Builds and me at the Gundam Kitchen for the Simple Details Class, as we teach you how to simple details a beginner or moderate level builder can add to their model. 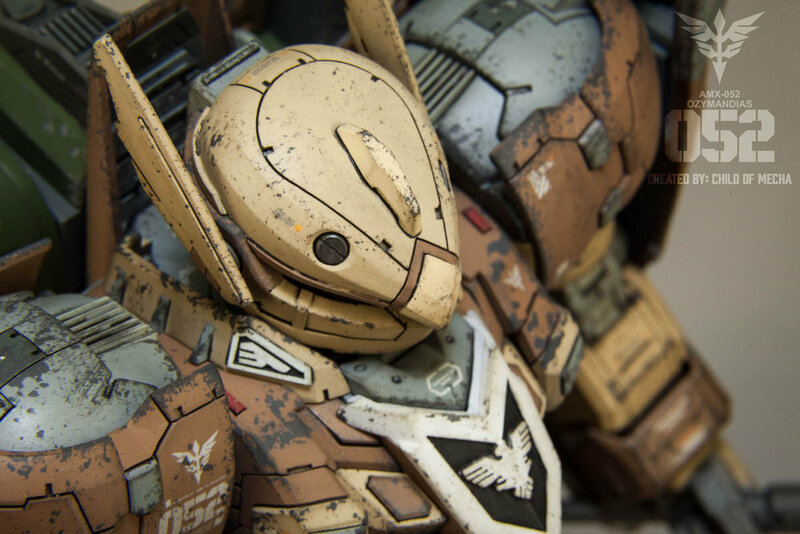 We show you tools, materials, and add-ons that you can use to make your model really come to life. Add Simple Details will set your model apart from the rest and make it unique! If you liked this class and want to donate please feel free! No pressure. And make sure to LIKE, FOLLOW, and SUBSCRIBE to all my pages too! 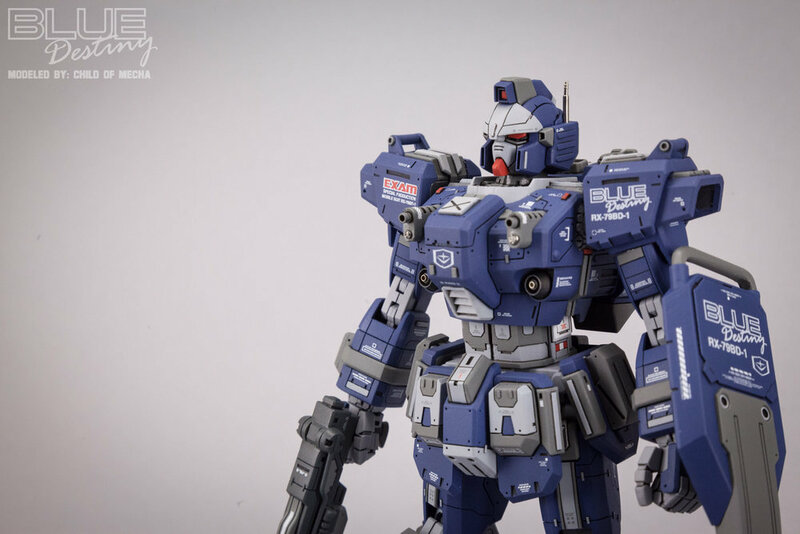 Join Gundamnerd (aka Brax) and me at the Gundam Kitchen for Scale Model Photography Class, as we teach you how to take the best photos of your models you possibly can. We share our expertise on different cameras, lighting, posing, composition, and post processing! Scale Model Photography is crucial to conveying your vision to people online, so learning how to take good picture is a no brainer! 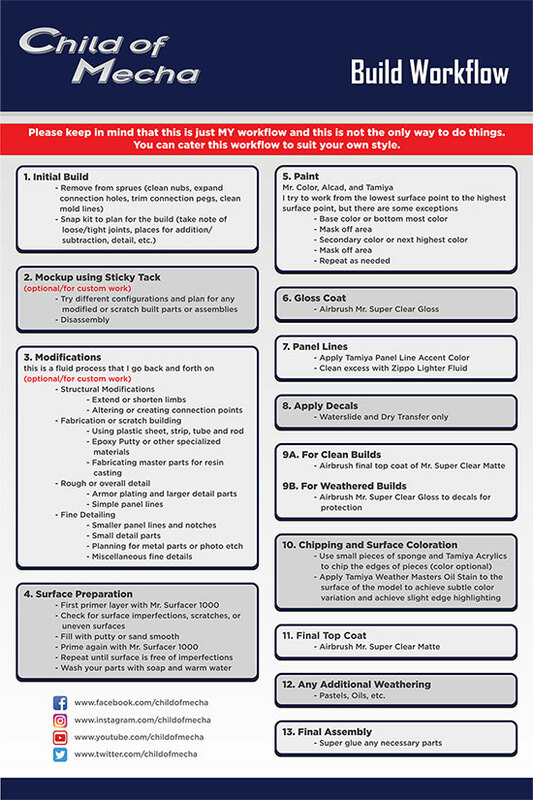 I receive a bunch of messages about my building workflow, so I thought I'd just put it out there for everyone. Please keep in mind this is just MY workflow. I'm not telling anyone to do it this way or that this is the only way to do things. It's not. It's just the way I do things and it works for me. If you'd like a poster sized print of my workflow to hang on your wall, you can buy them in various sizes in my online store! 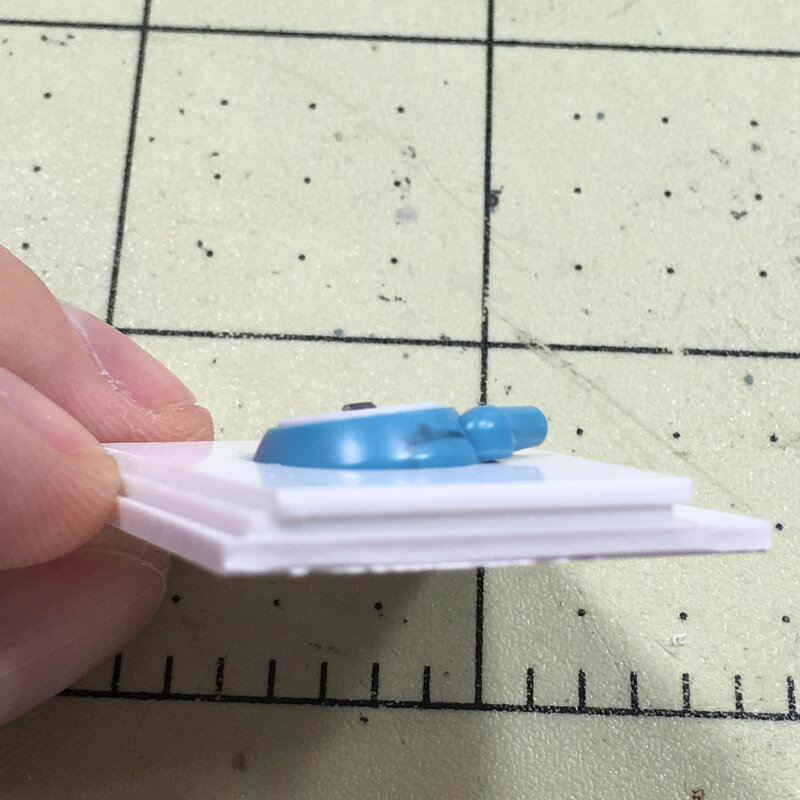 In this Creative Tip I’ll show you how to use common sewing pins as small metal details for your models. 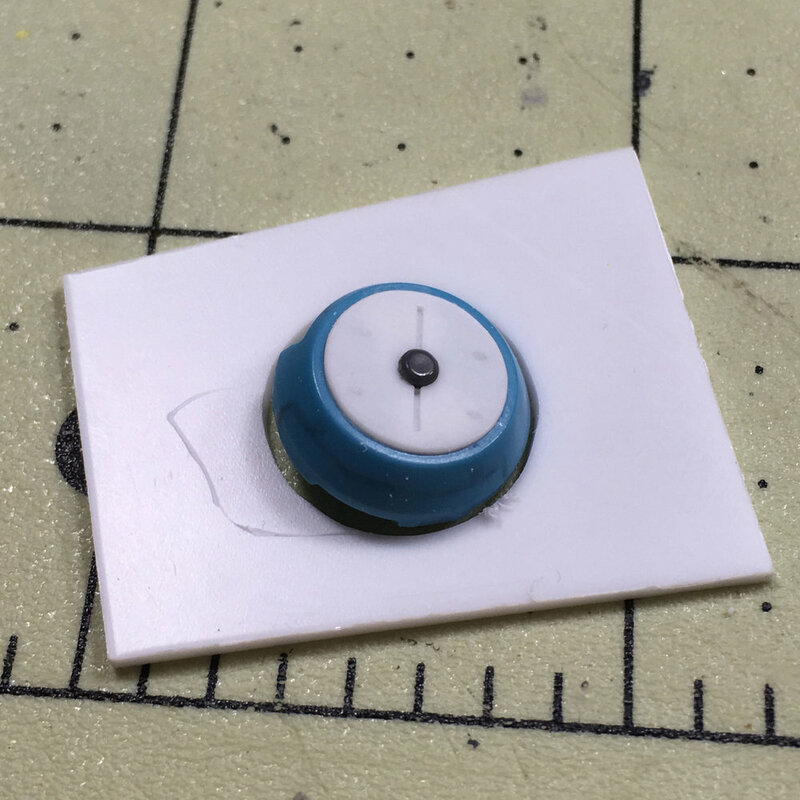 Many modelers use small beads for these types of metal details, but in comparison to common sewing pins, they’re much more expensive. 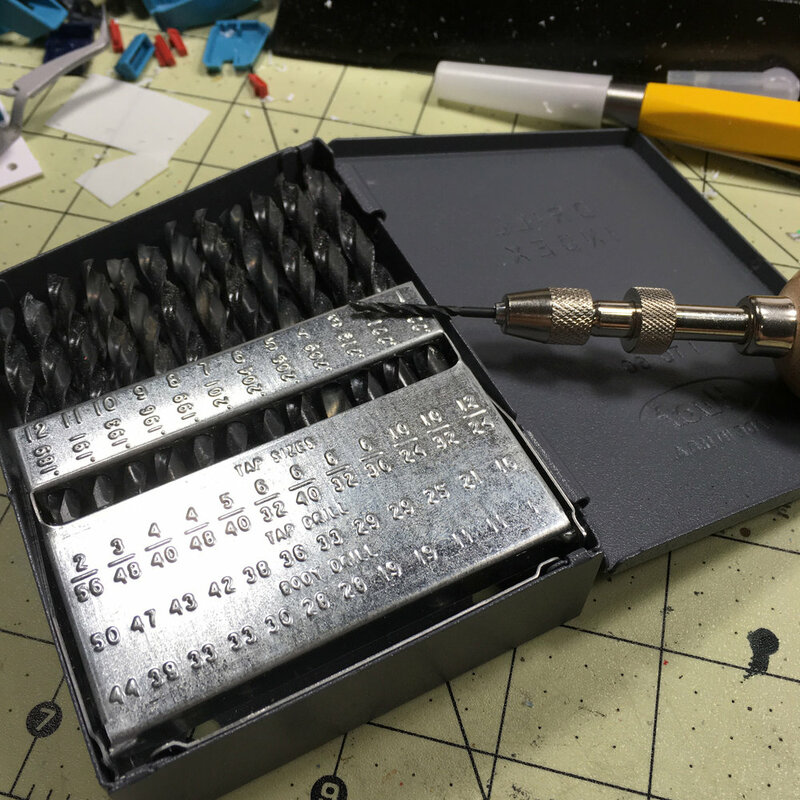 You can buy a box of 750 small sewing pins for around $5 USD (which is about 2/3 of 1 Penny (US). Cheap, and, in my opinion, a better choice because the pins are flatter than the spherical beads. They can be found in most craft and sewing stores and some large department stores like Wal-Mart. Select the piece that you want to add detail to. Remember that this type of detail should be used sparingly and only in subtle locations on the model. It’s easy to go overboard with this type of detail. 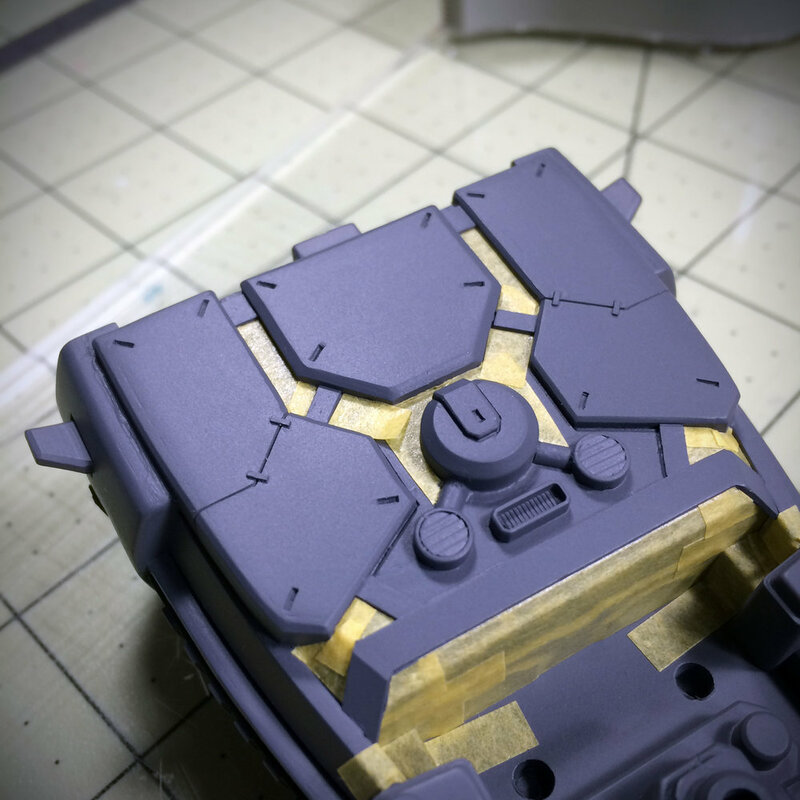 Lightly sand the area with fine grit sandpaper and mark the points that you want to add the detail with a pencil. 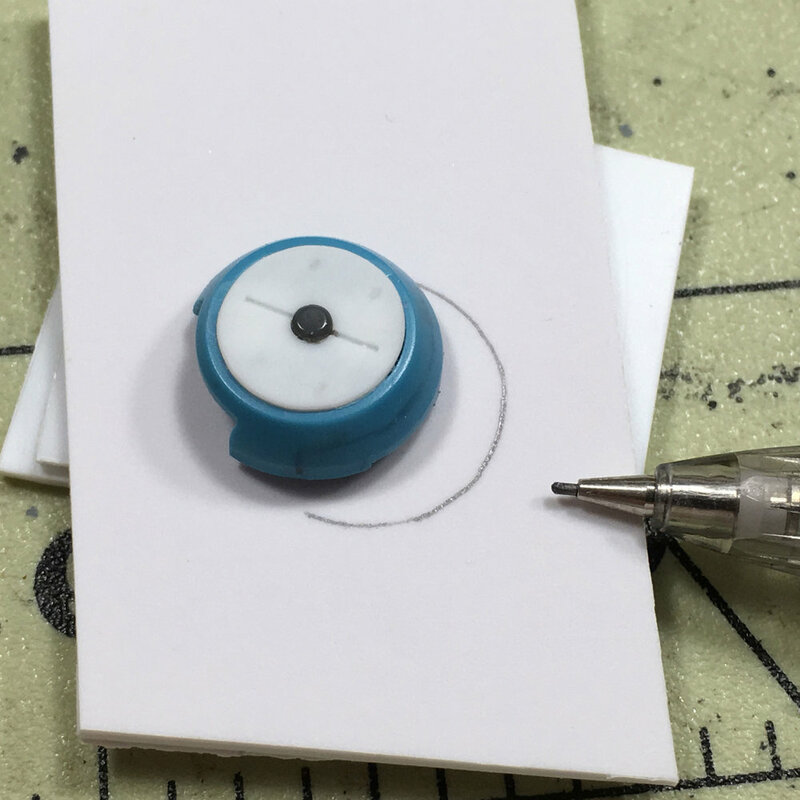 When you buy a pack of sewing pins, not all of them will be perfectly round and symmetrical. Choose one that has good symmetry. 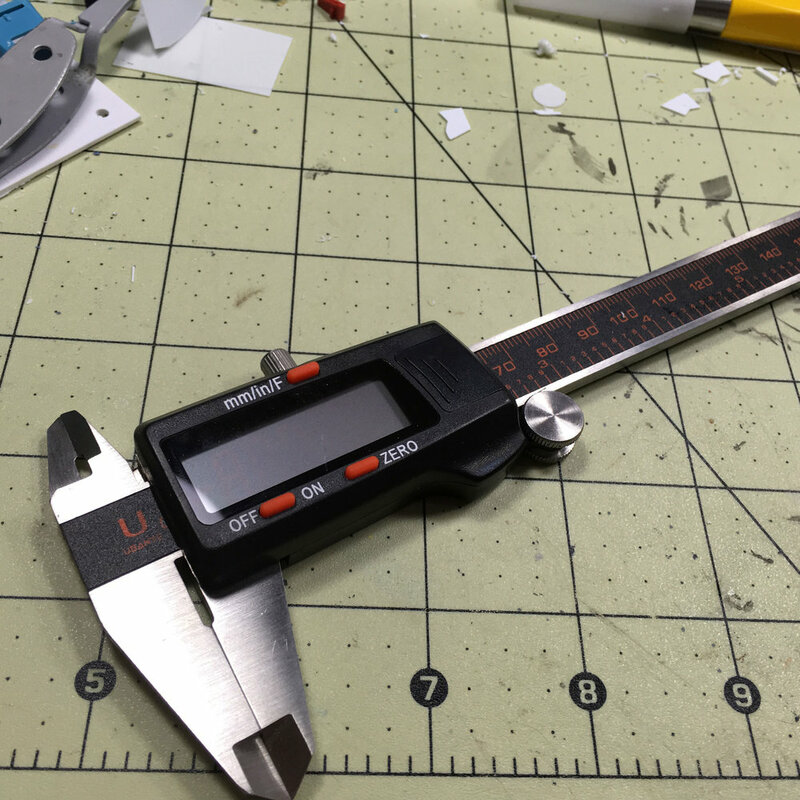 Use a Digital Caliper to measure the diameter of the pins shaft. 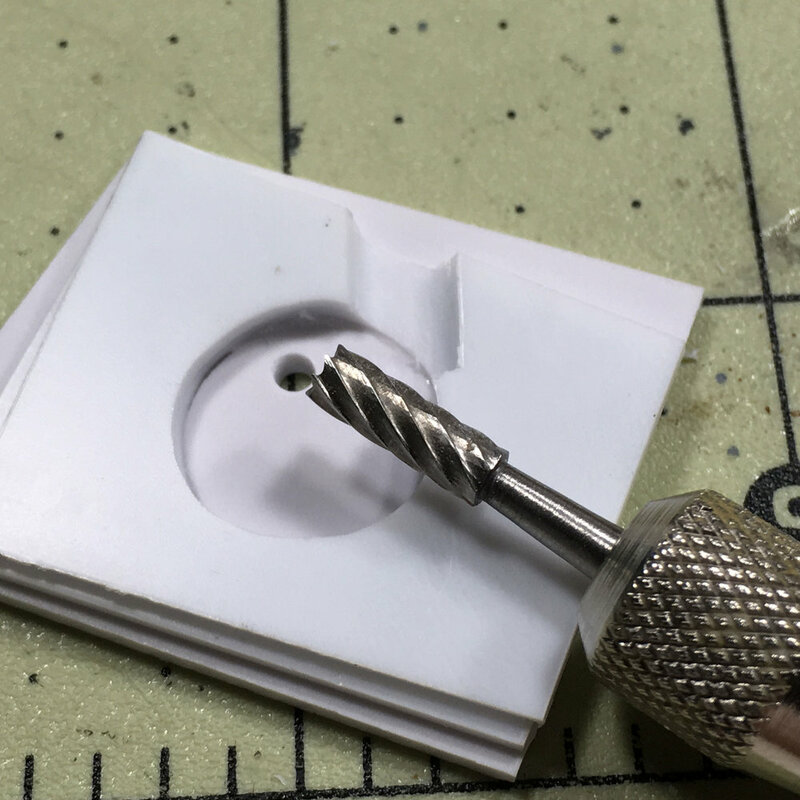 Drill a hole for the pin shaft using the correct drill bit. 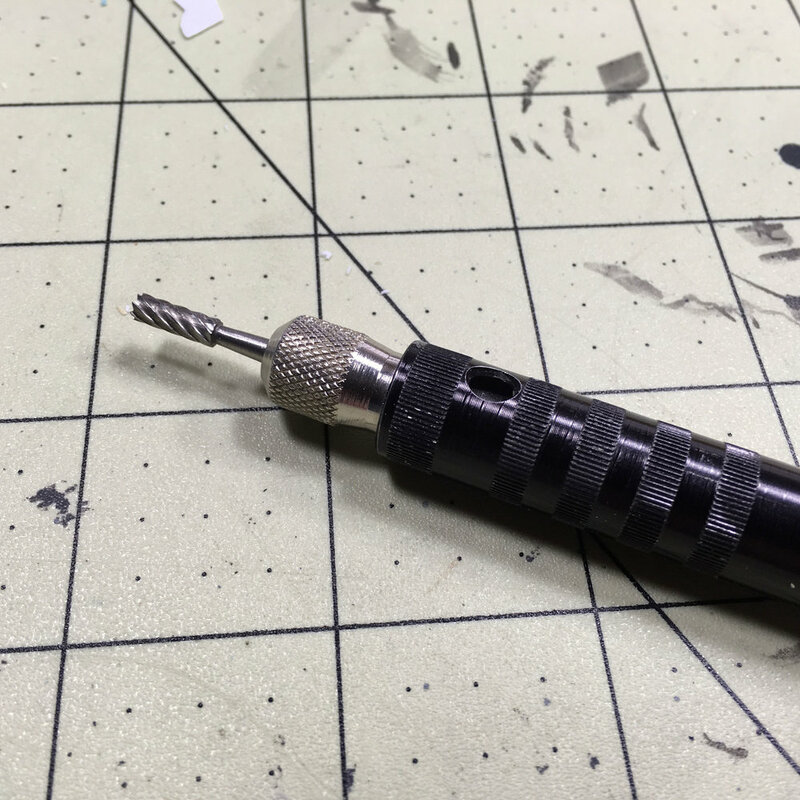 Make sure to either drill completely through or deep enough to secure the pin in place. 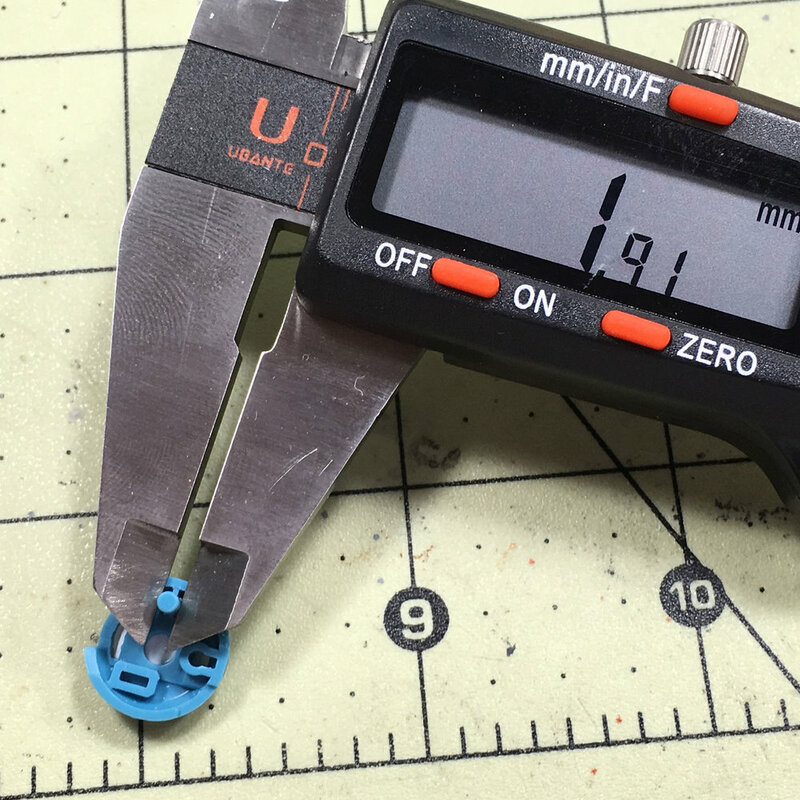 Use the Digital Caliper again to measure the diameter of the pins head. Drill a hole for the pins head with the correct drill bit. Keep this hole shallow. 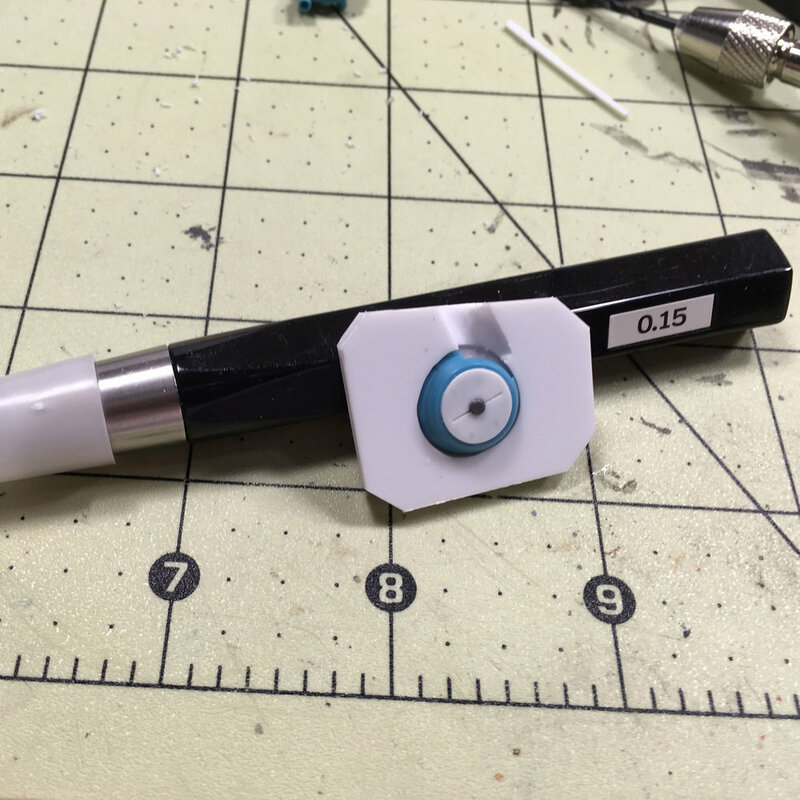 You only want the pin head to look like it’s embedded in the piece. 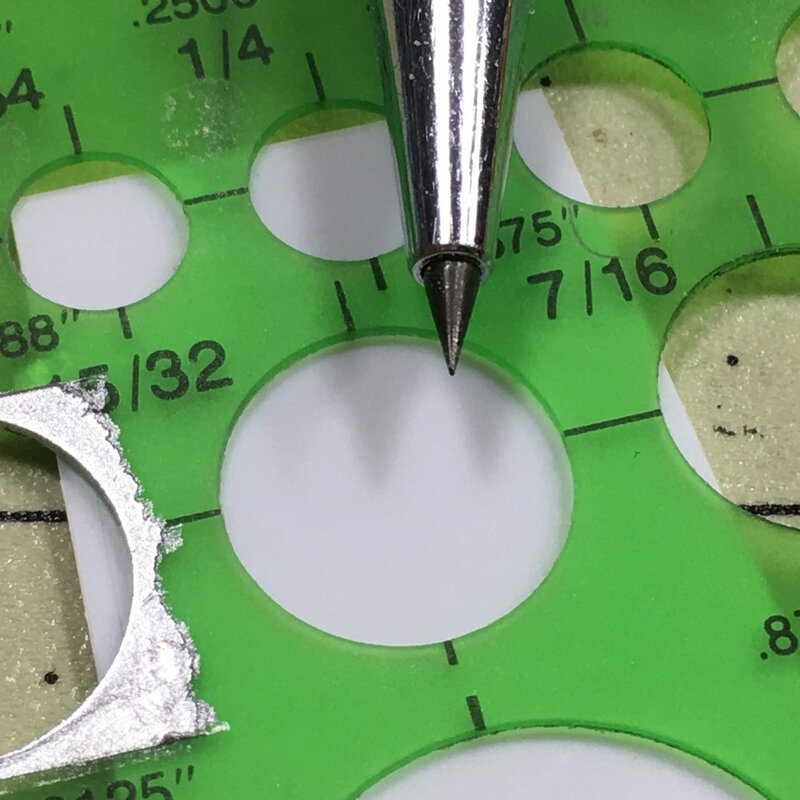 Use the Spherical Grinding Bit to chamfer the edges of the hole. 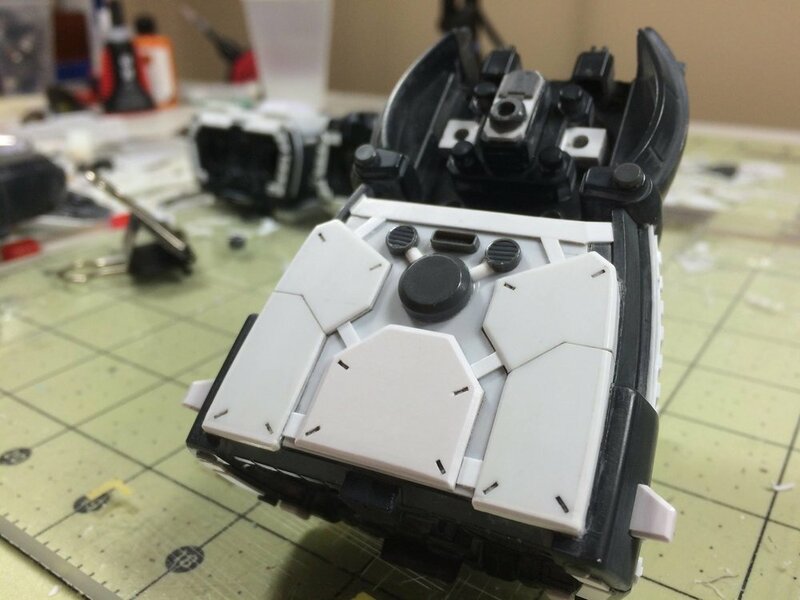 This will give the detail a nicely finished look. Lightly sand any surface imperfections. 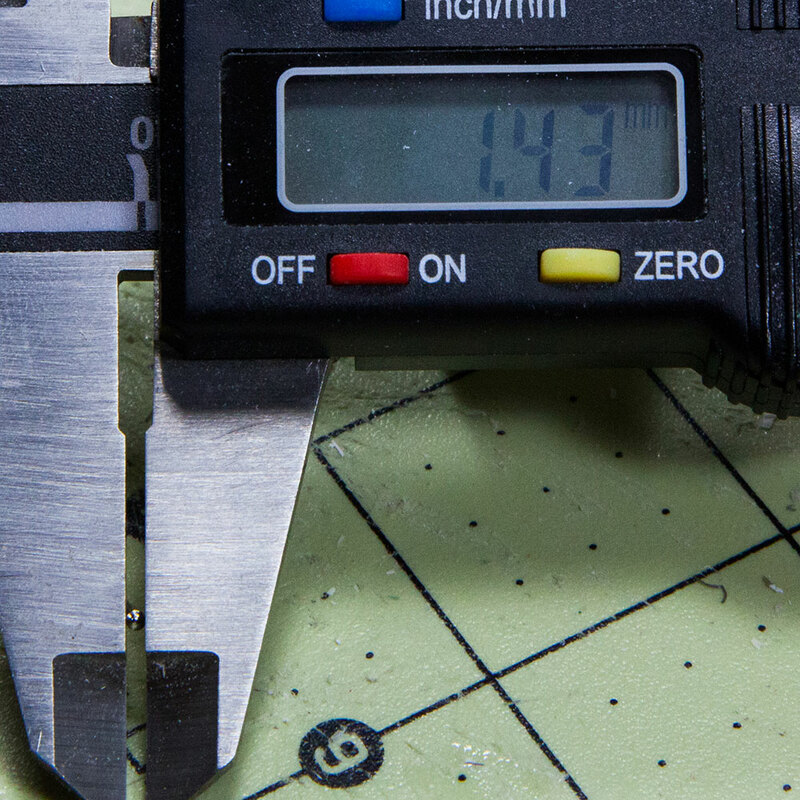 Using wire cutters or pliers, trim the sewing pin to final size. You'll probably want it pretty short; 2mm or so. Insert the pins. 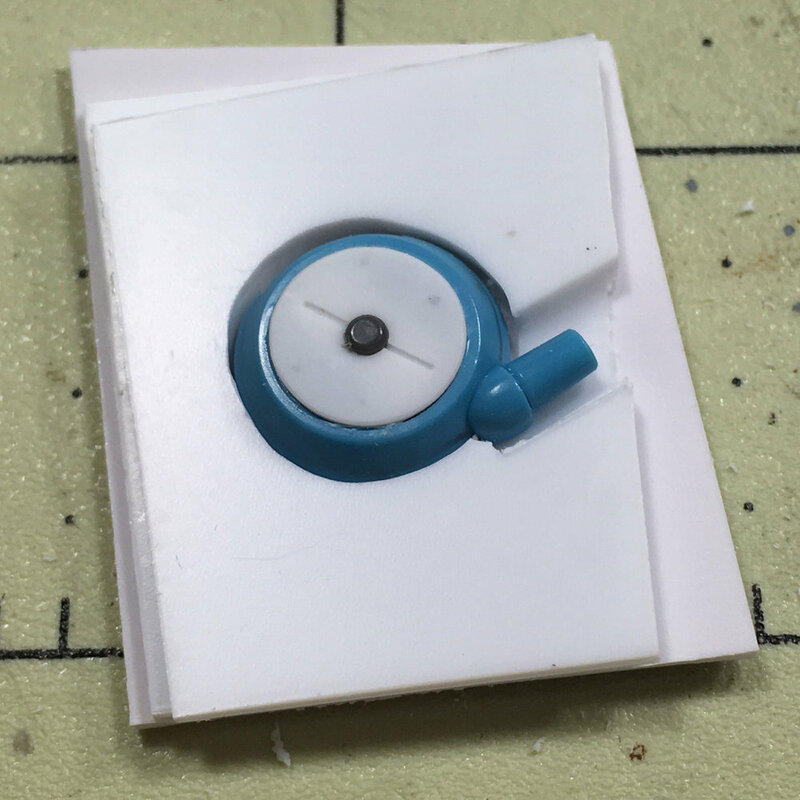 When it comes to final assembly you will want to permanently fix the sewing pins in place with CA glue (super glue). Use a toothpick to apply a small amount of CA glue to the hole and insert the pin. I used sewing pins in many places on the Hummingbird. This image shows the variety of looks you can achieve with different sizes of sewing pins. Used appropriately, sewing pins can really enhance the overall aesthetic of your next project. 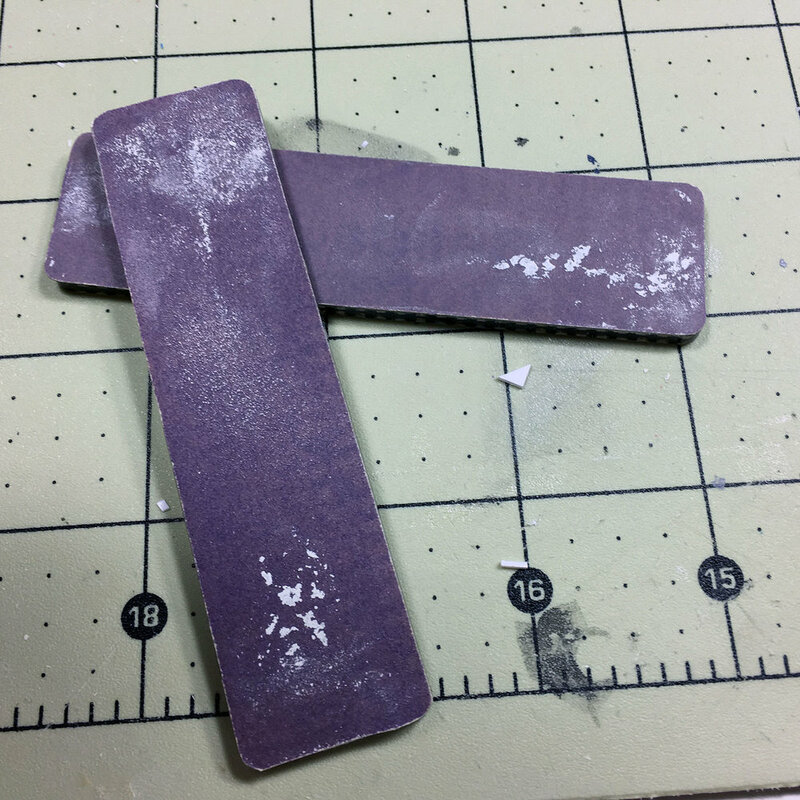 In this tutorial I'll show you how to make plastic laminated base blanks. 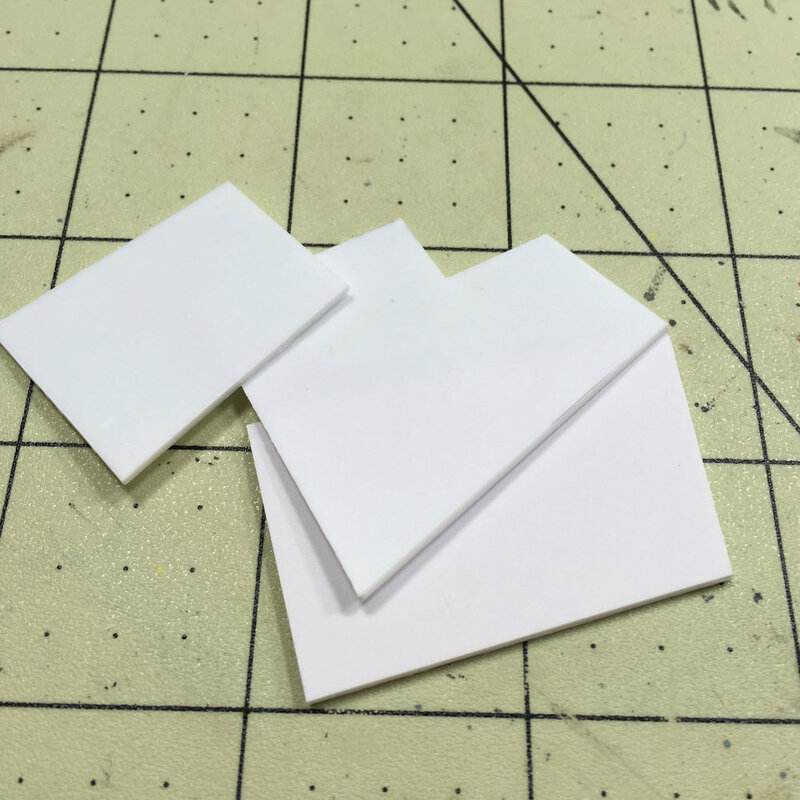 Since these are laminated in plastic, you can easily glue detail parts and build up plastic structures to make a really amazing base for your next model! Keep in mind that this isn't the ONLY way to make a base, but this is the method that I like to use best. SAFETY: Before we begin, be sure to read, understand, and follow all the safety rules that come with any tools you may be using. Knowing how to use your tools properly will greatly reduce the risk of personal injury. And please make sure to wear safety glasses! So you want to make a base and you're not exactly sure how to go about it. 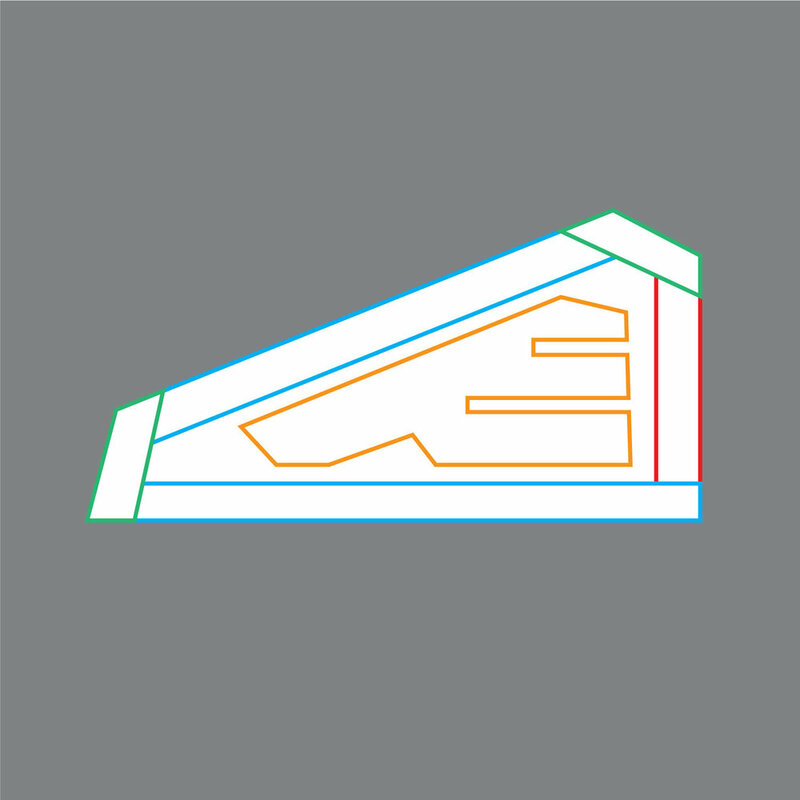 The best way to start is to figure out the overall shape and dimensions of the base you need. In this tutorial I'll be using 3/4in MDF (Medium Density Fiberboard). This material is inexpensive, stable and easily available at most hardware stores. Here in the US you can buy a 4x8 ft. sheet for around $35USD. It's available in smaller sized sheets as well. You can also use good quality plywood, or real wood. I would stay away from from other materials as they may not be stable enough for what we'll be doing. Now that you have a piece of MDF cut out we'll need to start cutting plastic. 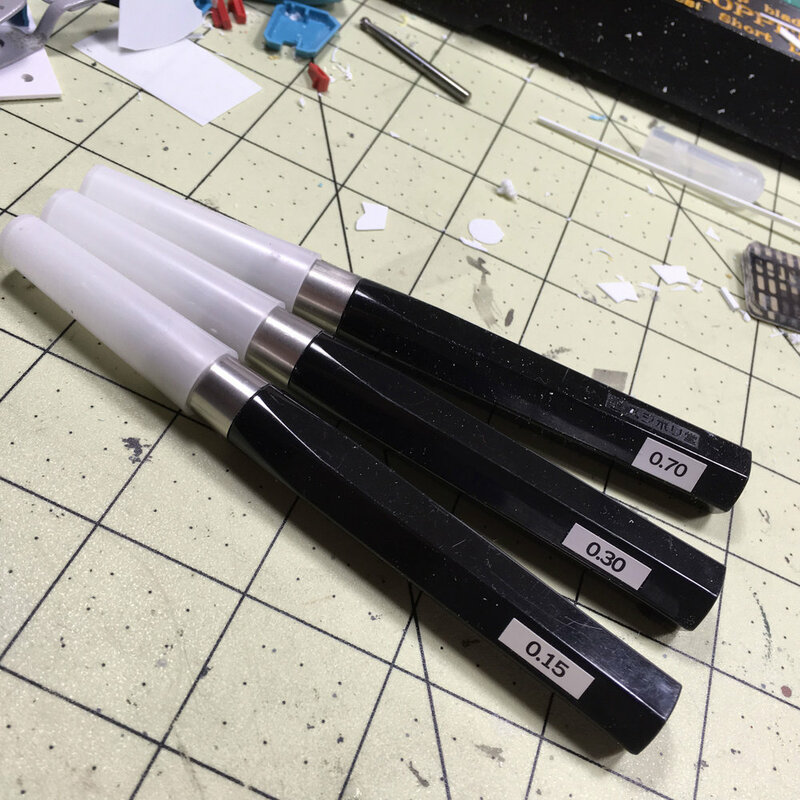 I'm using 1.5mm styrene sheet. I would not use anything thinner than 1mm as it might become bumpy and may not hold up to the sanding that you will have to do later. I bought this plastic from a US based website called McMaster-Carr, an online hardware retailer. These sheets are available in many different sized thicknesses and sizes at a very good price. Here I've measured out the top of the base. I've added a few millimeters to each side so it will completely cover the top of the base. Don't worry, we'll trim the excess later. After that I taped up the sheet around my tracing marks. You could cut these out as well. 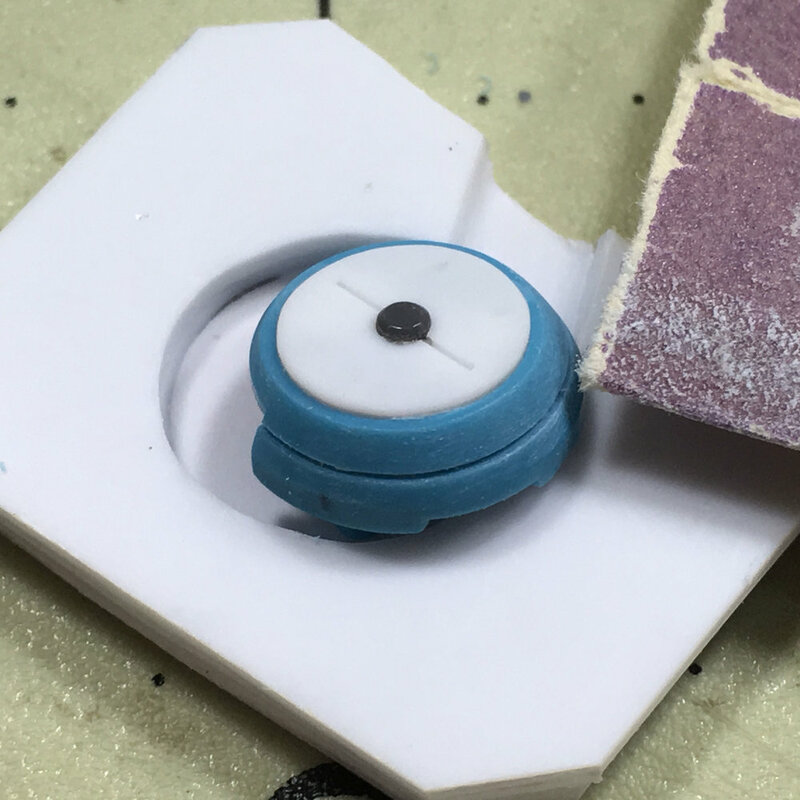 We'll be using spray on contact adhesive, so we want to make sure we save as much plastic as possible for the sides and bevels. Next tape up all the sides of the base. We'll be spraying these later, but we need these sides to stay clean until then. 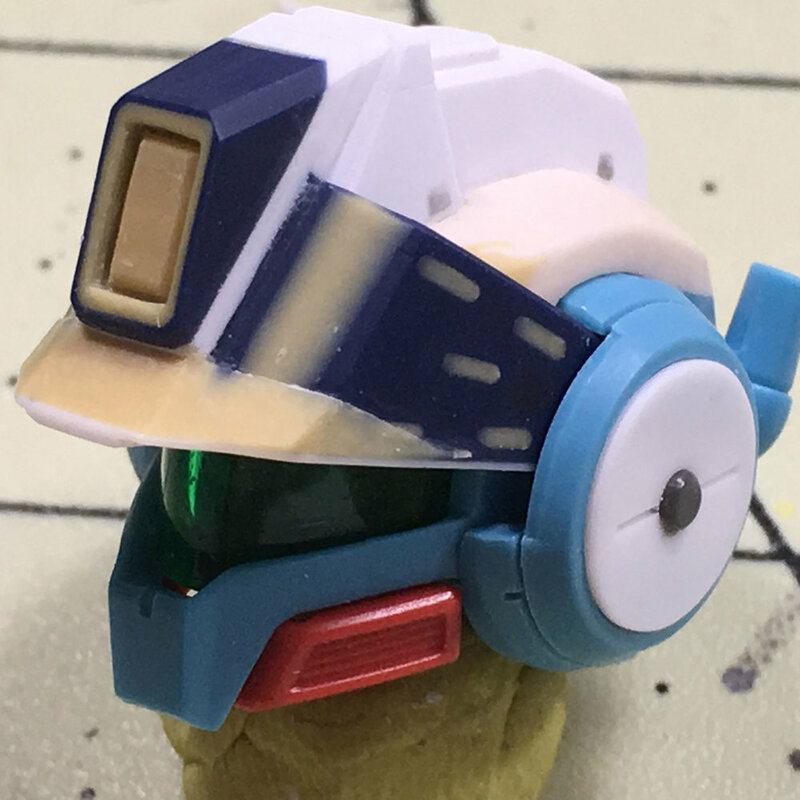 Simple masking tape does the trick here. For contact adhesive, I'll be using 3M High strength 90. This is used to laminate countertops for kitchens, so it will hold permanently. 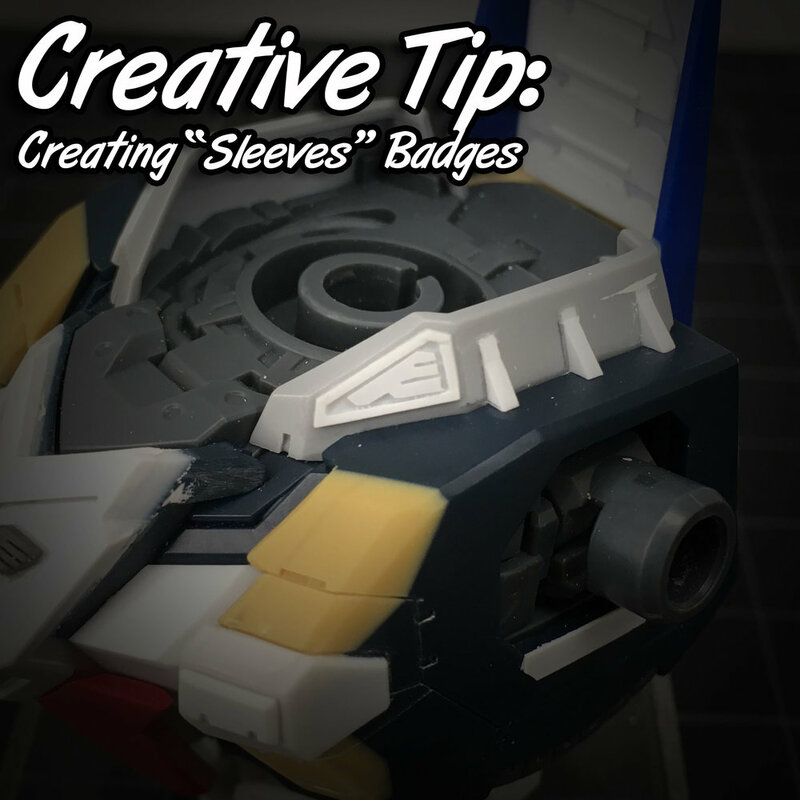 You can use brush on contact adhesive as well, but make sure it's high strength. The last thing you want is your plastic coming off the base. 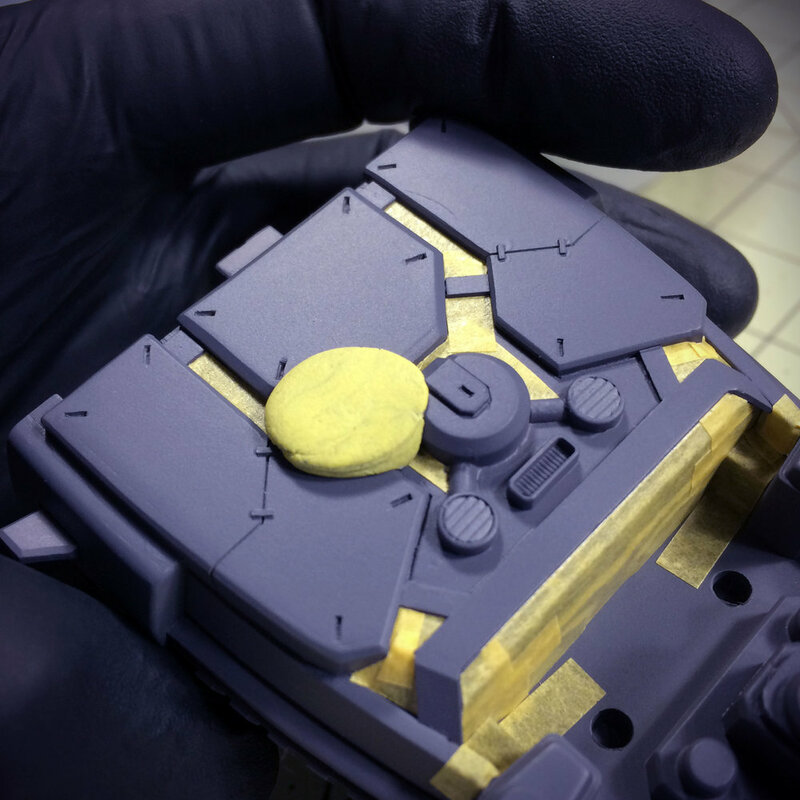 So now you're ready to spray the base and the plastic top. 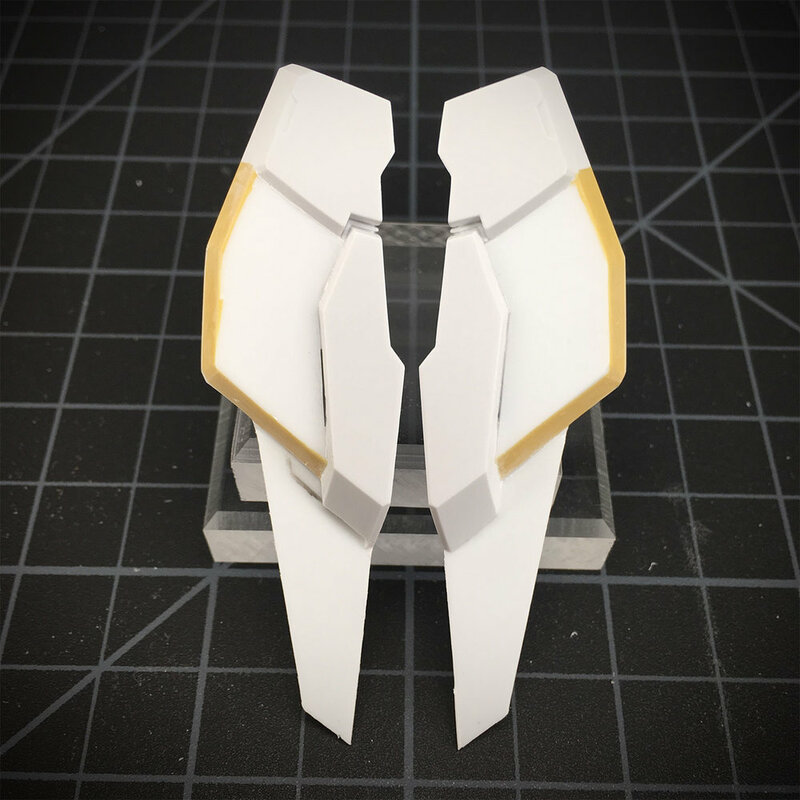 You'll need to cover your base and plastic completely with spray adhesive, especially along the edges. The spray adhesive I used doesn't have a bad smell or harmful vapors, so I was able to spray it inside, but you may want to spray outside. 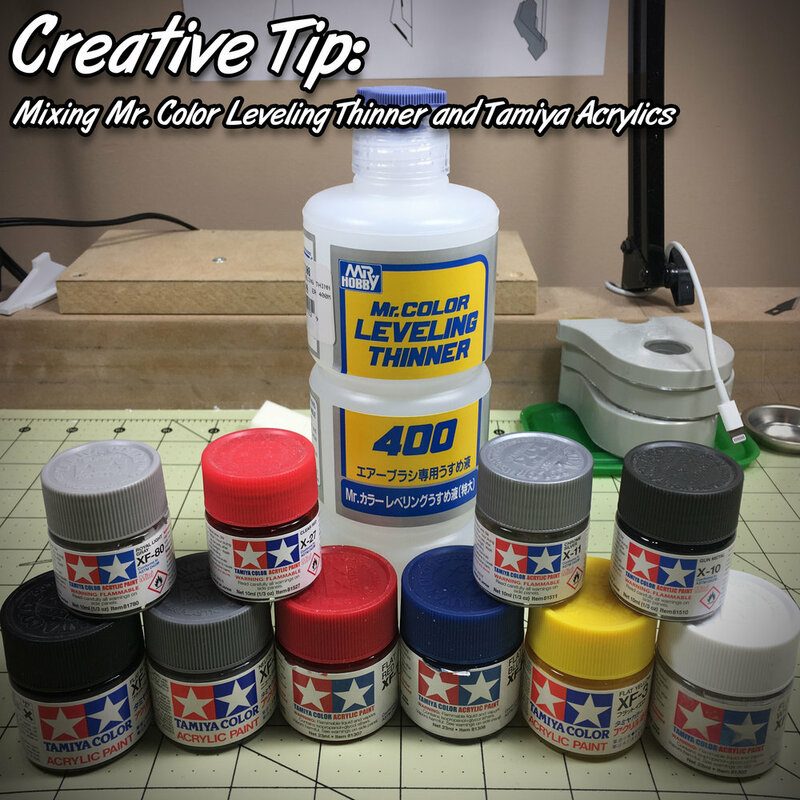 Just make sure to read the directions of the adhesive you buy to make sure the conditions you're spraying in are appropriate for the adhesive. 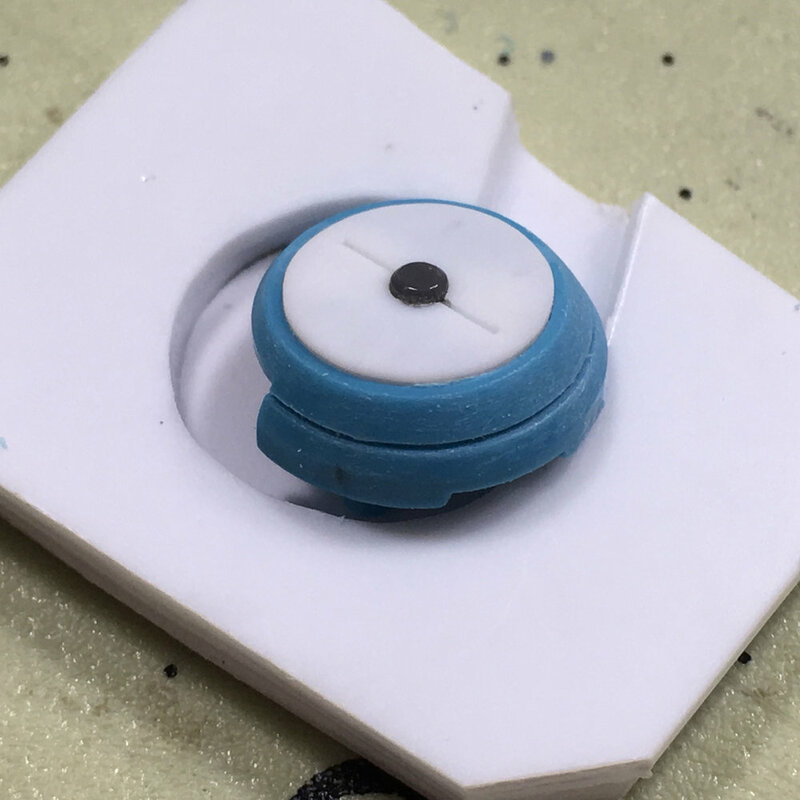 With this spray adhesive you want to spray it on both the base and the plastic and let them cure for around 2-3 minutes. A good way to test to see if the adhesive is ready is to press your knuckle onto the adhesive, if it doesn't stick to your knuckle, it's ready for application. Next, carefully line up your pieces and press them into place. Once they're down, they will not come apart. After the bases are pressed onto the plastic I cut them free from the larger sheet. You can see each side as a little extra. We'll trim that off later. 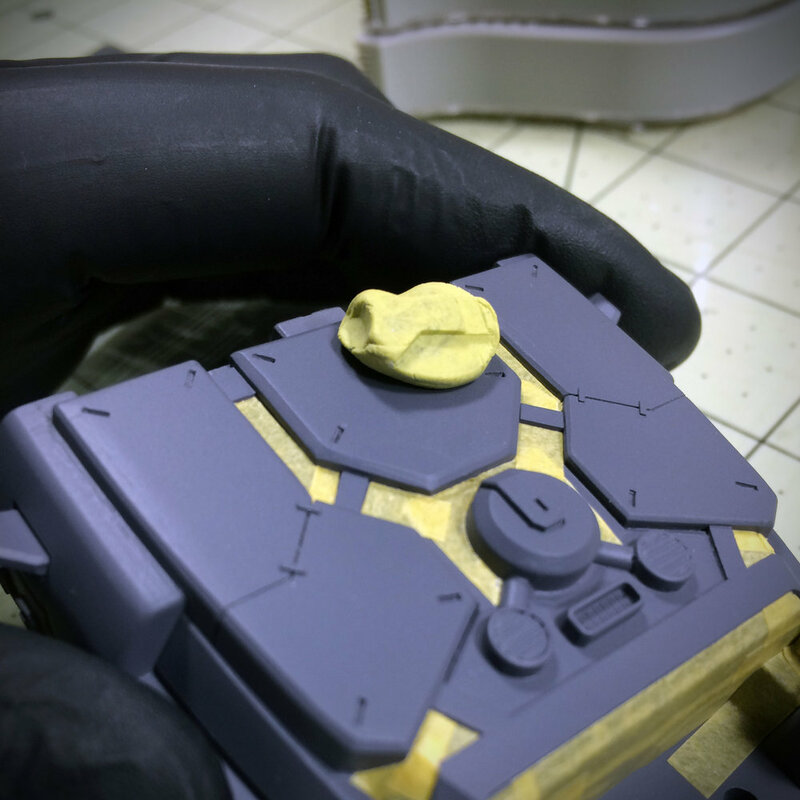 Now that the bases are free I apply weight to completely press the plastic down so that the bond is strong. I'll let these sit for a few hours, just to be sure. So the next thing we need to do is to trim the excess off the top. For this I'll be using a stationary router with a flush trim bit. 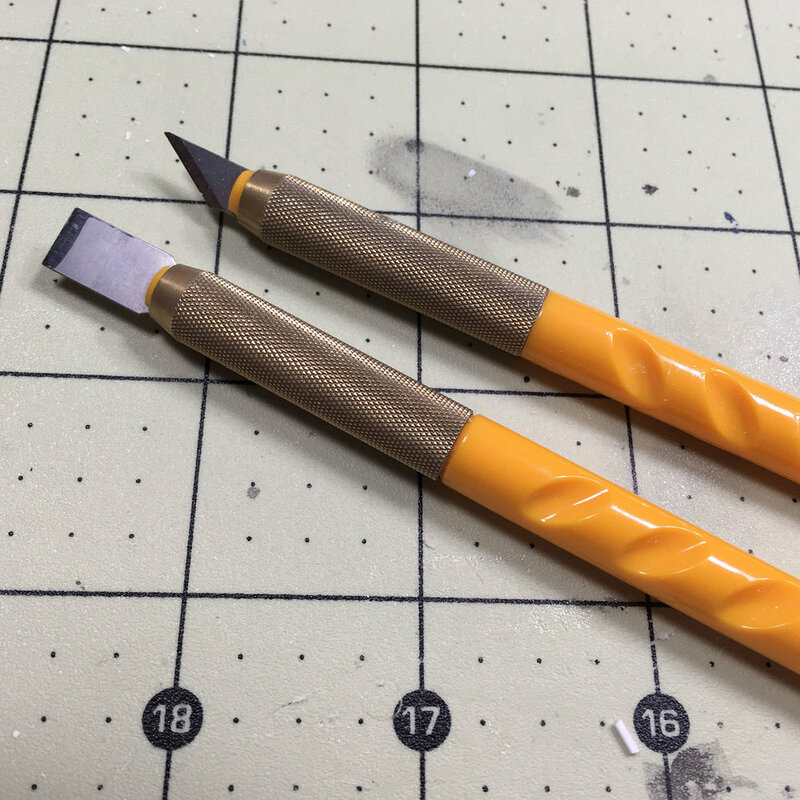 If you don't have access to a stationary router, you can use a hobby knife, utility knife, chisels, or even a small trim saw. This is what I had and it makes quick work of trimming the excess. 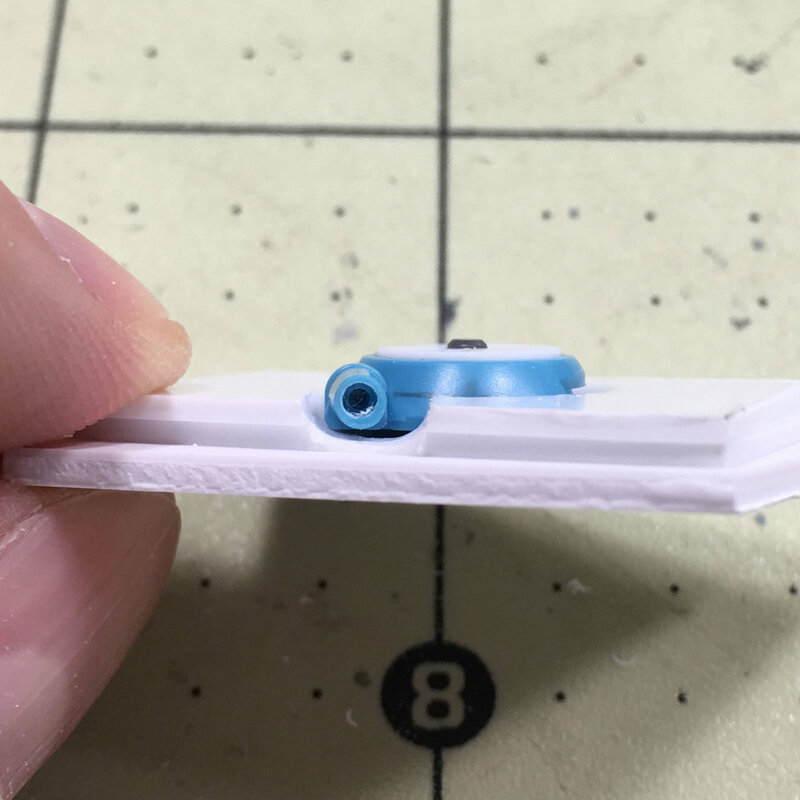 Using the flush trim bit makes really quick work of the excess and it trims the plastic perfectly to the base. The bit has a roller bearing at the top that the piece rides against as the cutting surfaces trim the excess to the exact match. So now we have the top laminated and trimmed to the base. Now we're ready to make the sides. 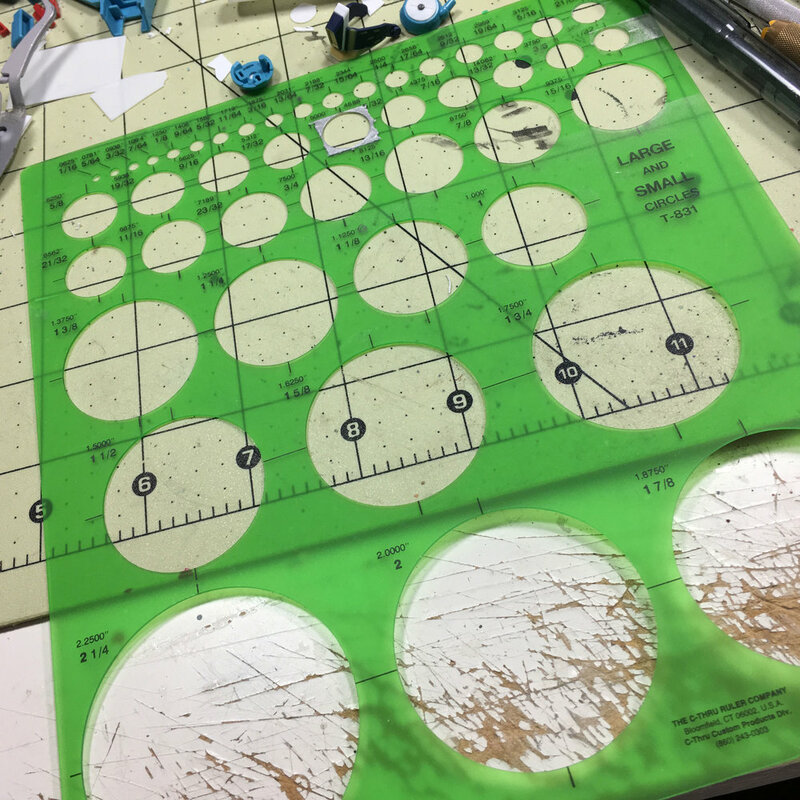 With the remaining plastic from the original sheet carefully cut out the four sides with a little excess on all four sides for each piece. We'll start by only laminating two sides so we can trim the excess easier. We'll need to protect the other two sides and the top with masking tape. Once the base is all taped up we'll spray the two exposed sides and the plastic strips that will be laminated. So now that the two side strips are laminated in place we'll let these cure for a few hours and trim them up. For trimming these pieces I just use nippers, a hobby knife and chisel to square them up. They will be under the other two side strips, so they don't have to be super clean, but get them as flush and neat as possible. You can leave the excess on the top as we'll trim that later on the router. After that we'll re-tape the piece and protect the top and two newly laminated pieces. We'll repeat the spray process with the remaining sides. With all four side glued up, we'll need to trim the excess off the top and last two sides. For this we'll need to tip the base vertically. To keep it at a perfect 90 degree angle I'll be using a vertical routing jig that I made. You can buy them, but they're easy to build. Using the vertical router jig, I clamp the base to it and remove the router fence. I'll trim all for sides flush. They don't need to be perfect since we'll be cutting a bevel around the top in the next step. I changed out the flush trim bit with a 45 degree chamfer/beveling bit. This bit also has a roller bearing, but I like to use the router fence to keep it as straight and true as possible. With all four sides beveled, this is what it looks like. A nice clean surface to laminate the bevel strips to. 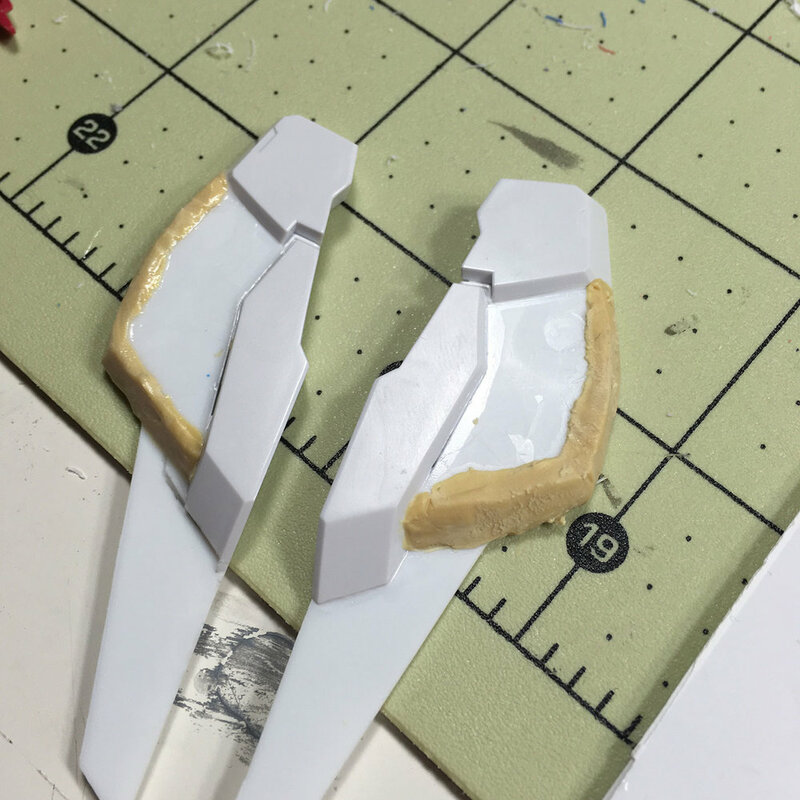 Using the remaining plastic from the original sheet, I cut strips to laminate the bevels. Just like the side strips, I'll start with two sides first. Since the bevels need to have both great strength and clean lines I use super glue to laminate the pieces to the base.The super glue will also help fill any gaps that you may have after glue up. Once the first two bevels are glued I'll let them cure for about an hour and trim the excess off in the same fashion as the first two side pieces. Use nippers to take off the bulk of the excess. After you take off the bulk of the excess I use a chisel blade from OLFA to finely trim what's left. To finish the trimming I'll use a flat file to square it up and make it completely flush with the corresponding bevel. Repeat the glue up process for the last two bevels and trim accordingly. Trim the excess from the top and sides on the router with the flush trim bit and we're almost done. You can fill any gaps with super glue. 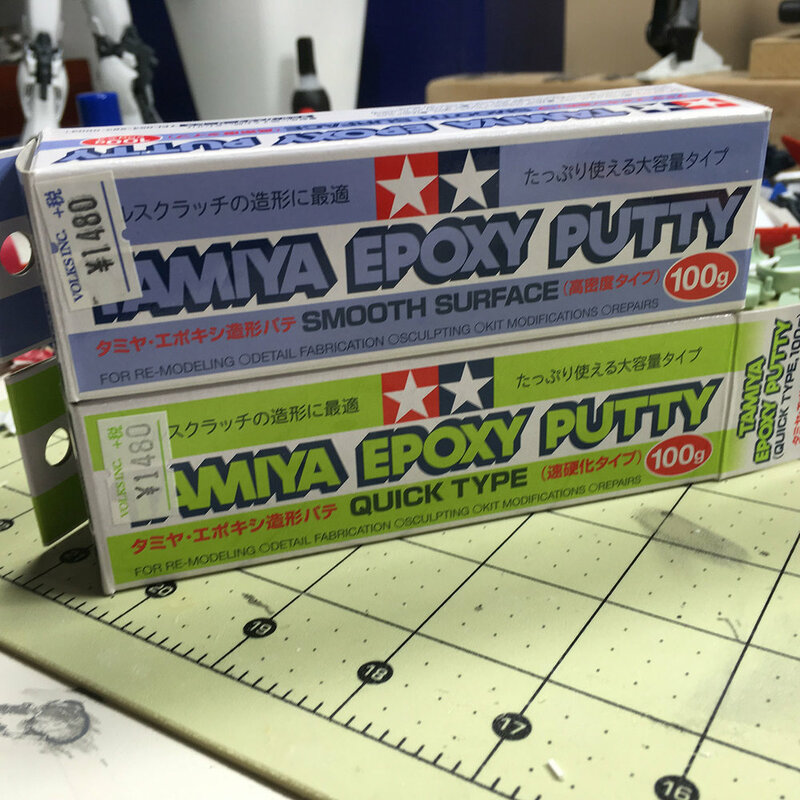 I would rather use super glue in this case as opposed to putty, since it will cure harder and it sands and files easily and cleanly. Once all the plastic is trimmed we can perform the final sanding. With a scrap of MDF, I used that as a sanding block. I start with with something course, around 280 grit, to clean up any rough areas and stray super glue. Make sure to keep the sanding block flush with the surface you're sanding. It's easy for the sanding block get away from you and start to round the corners and edges. Go slow and steady. After you've got the entire base rough sanded, start to increase the grit. I'll move to 400, then to 600. 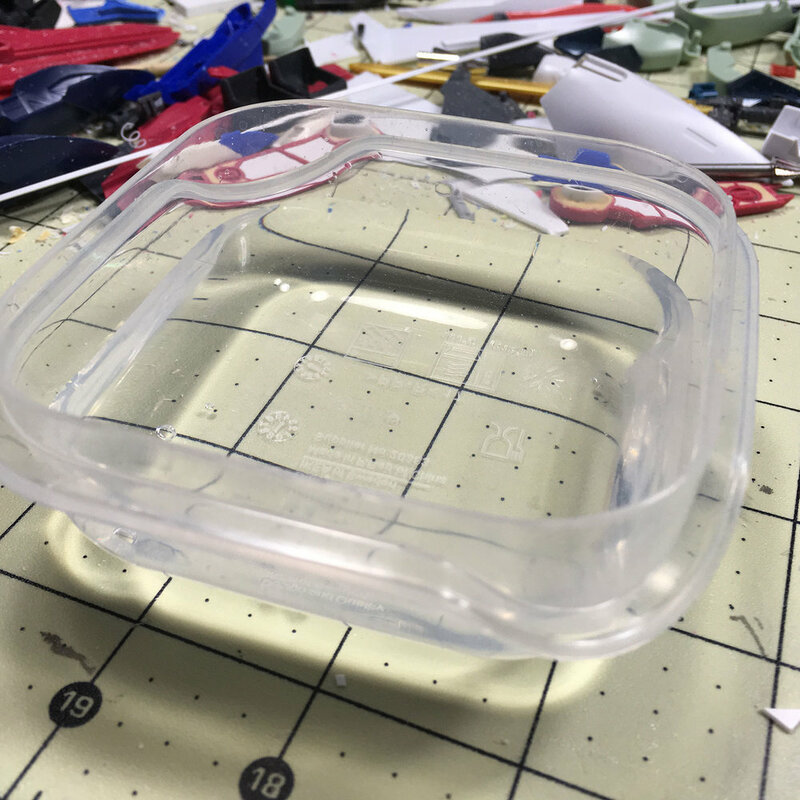 This will leave the plastic pretty smooth and ready for detailing. So there you have it. 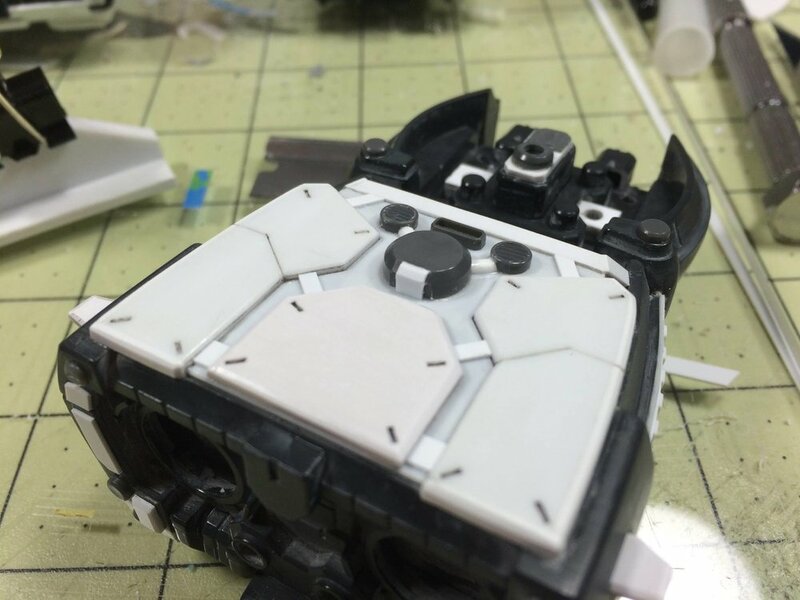 You have a square base blank ready for detailing and painting. As you can see, you can have a very subtle bevel or a large bevel. It's all what you want to do with it. 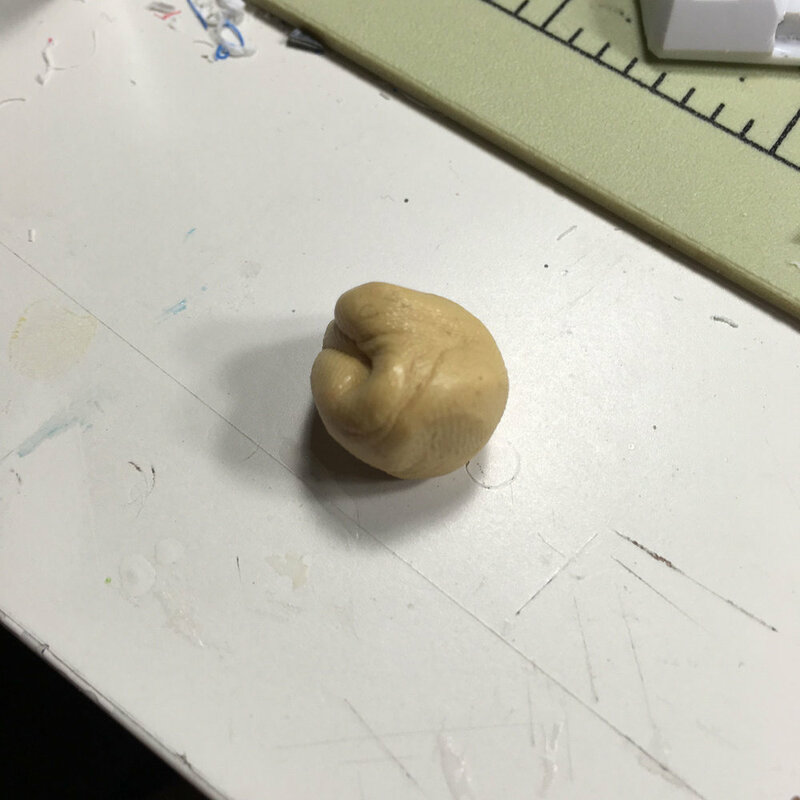 Square bases are pretty easy to make, but it may not always be the shape you want. You may want something round or even a custom shape. 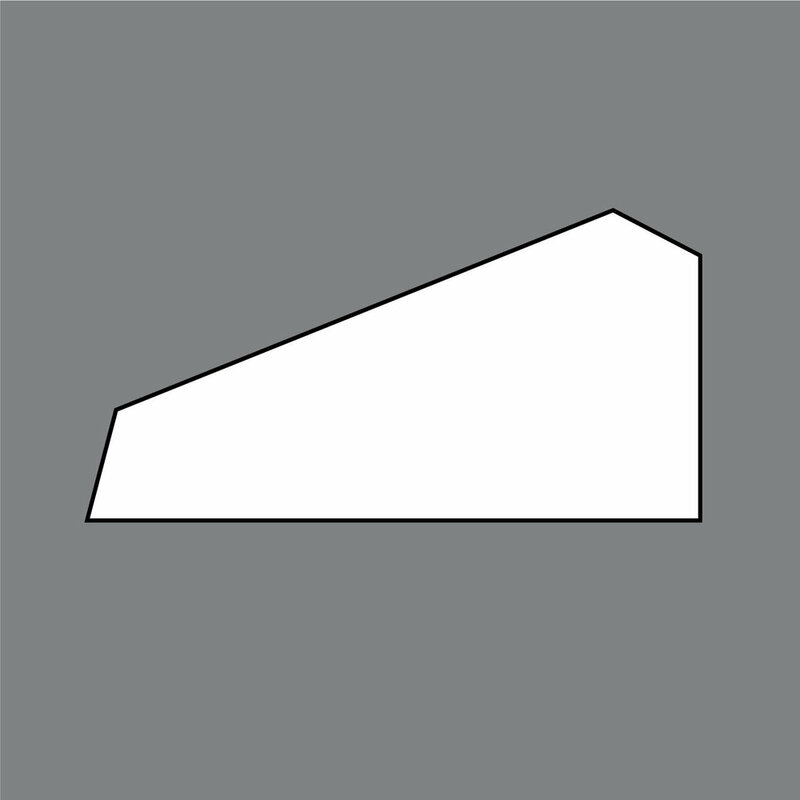 The next steps will show you how I created an elongated octagonal base. So with continuing from the square base, I use a speed square to make 45 degree cut marks on the base. To cut the corners off I used a miter saw, but you can use a hand saw, a circular saw, or jigsaw. Note: I prematurely beveled one side. You wouldn't want to do that just yet.square to make 45 degree cut marks on the base. Now that the corners are cut off, I cut smaller strips for the new sides and glue them up using super glue. I also trimmed and sanded the edges flat. Using the 45 degree bit, I removed the router fence and just used the roller bearing as a guide to bevel the top on all sides. Again using the original sheet, I cut the bevel pieces and glued them in place with super glue. Trim, file and sand the excess and we're ready for the corner pieces. Smaller pieces were cut and again glued to the corners using super glue. The same process for cleaning up the excess was used. I went a little too deep with the 45 degree bit and it left a small lip at the top, so I used super glue to fill in the gaps. Trim, file, and sand in the same way as the square bases and you're just about finished with this base! And there we go. Three base blanks ready for detailing and models. I hope this tutorial is helpful to you, and I hope you use this to make some amazing bases for your next project! 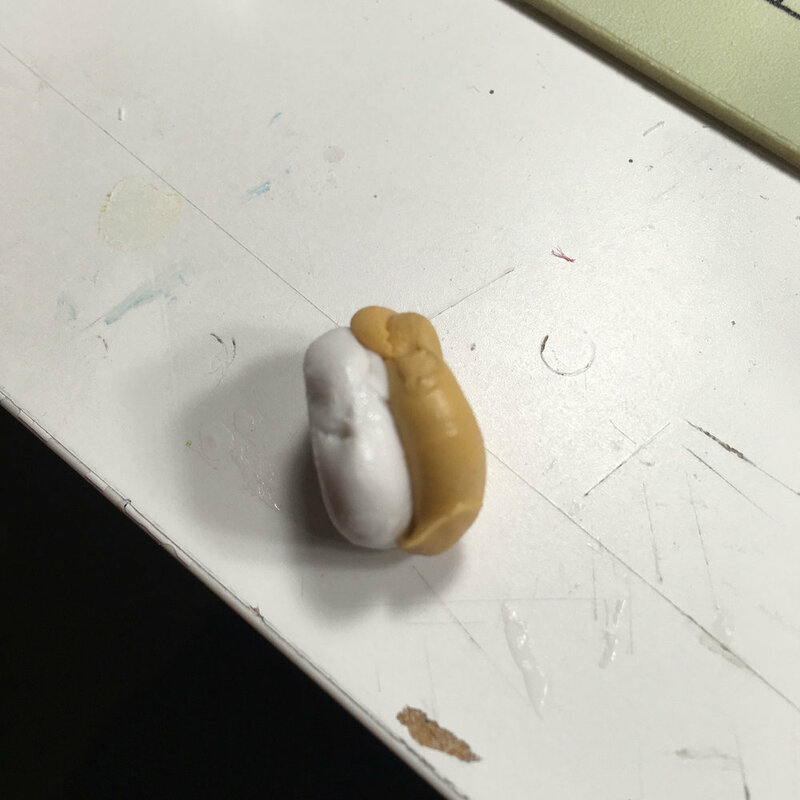 This is the same process that I used to make the Hummingbird's base. 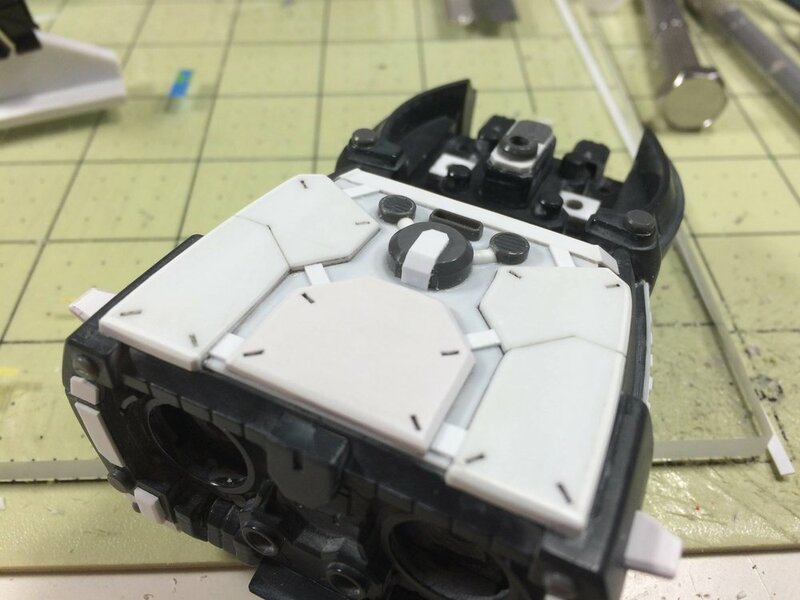 After you have the blank, you can detail it any way you want! 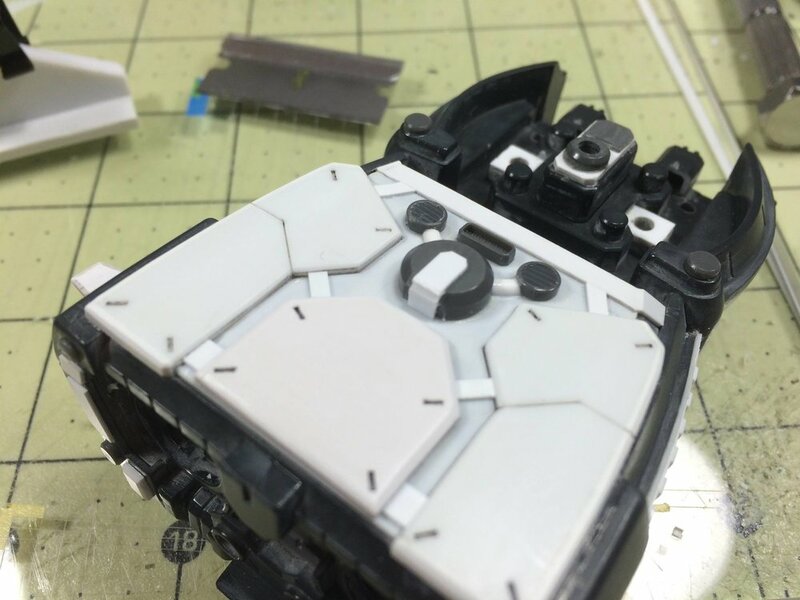 Since I'm planning on building a Hyaku Shiki 2.0 after my current project, I thought I'd look into what can strip the plating. I've seen many different suggestions and tips, but most have been second hand information that people have "heard" would work. With that in mind, I wanted to find out definitively what works and what doesn't. Here are my findings. I gathered some of the more common chemicals that I've seen used online and some that I thought might have a chance at stripping the plating off the Skiki 2.0. So I gathered Simple Green, 91% Isopropyl Alchohol, Windex, Bleach, and Zep Fast 505 Industrial Degreaser (similar to Purple Power). I had seen claims that this was a great paint stripper and that some people were using to strip the Shiki 2.0. I've never had any sort of luck with this, so I was not hopeful for it's chances. This was the wild card of the bunch. 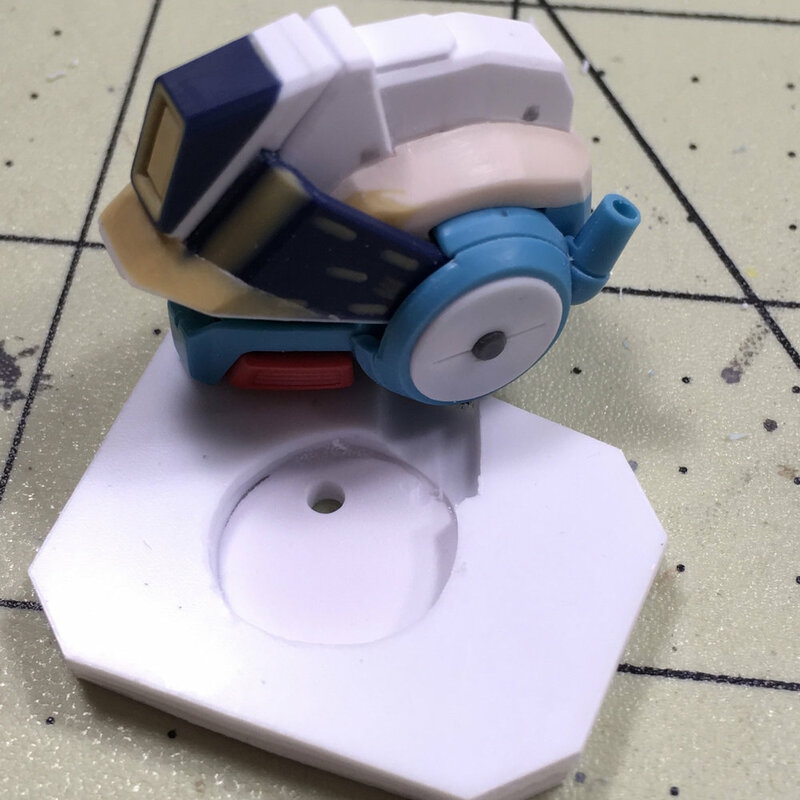 It's my go to chemical for stripping Mr. Color and anything laqceur based, but how would it fare against the plating of the Shiki 2.0? Another wildcard, but with the mix of different chemicals in Windex, like alcohol and amonia, I wanted to see how it would fare. 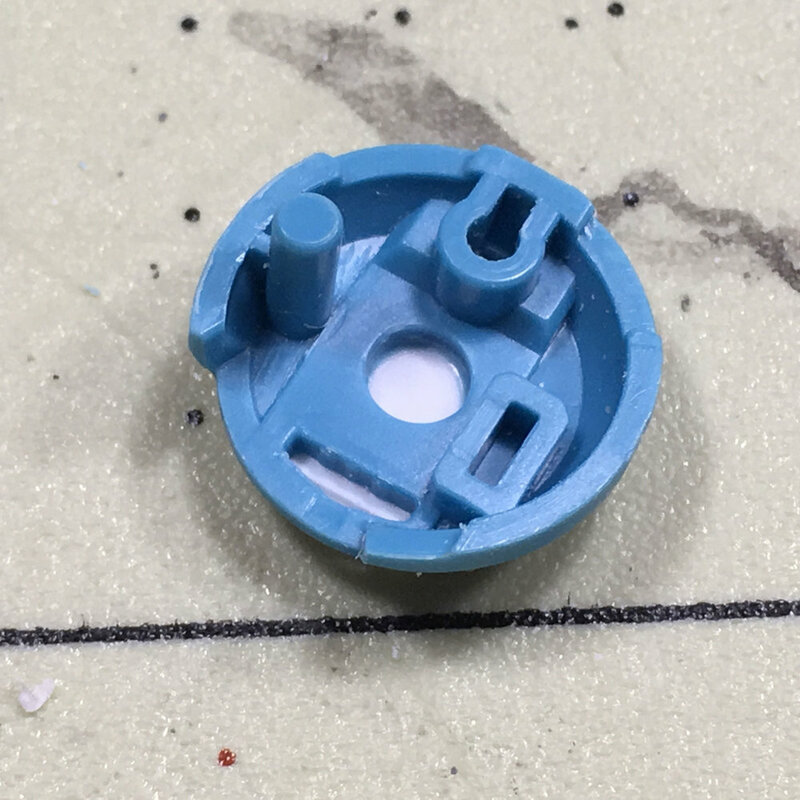 I've also seen a good number of claims of this stripping the plating of the Shiki 2.0, but I was not conviced, so why not put it to the test? This is an industrial cleaner and degreaser, similar to Purple Power. I had not tried it in the past and had seen many claims that Purple Power did great at stripping the Shiki 2.0, so I was looking forward to see what the results were. Little to no effect on the part. No signs of missing plating or degradation in color. Surprisingly the gold color had been stripped away to reveal a very nice silver plating. The actual plating had not been penetrated which was interesting. Slight chipping and color degradation. This is the most aggressive by far. A good amount of chipping has already started. This just did not have any effect on the plating at all. 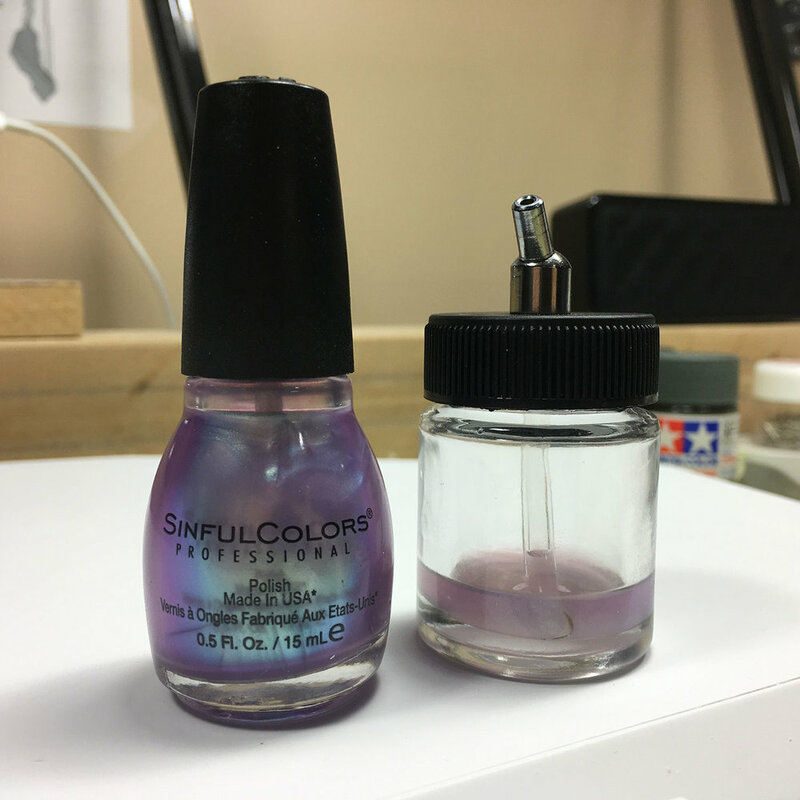 The gold color was still vibrant and no chipping had occurred. The gold color has been dissolved and slight chipping had occurred at the seven hour mark. 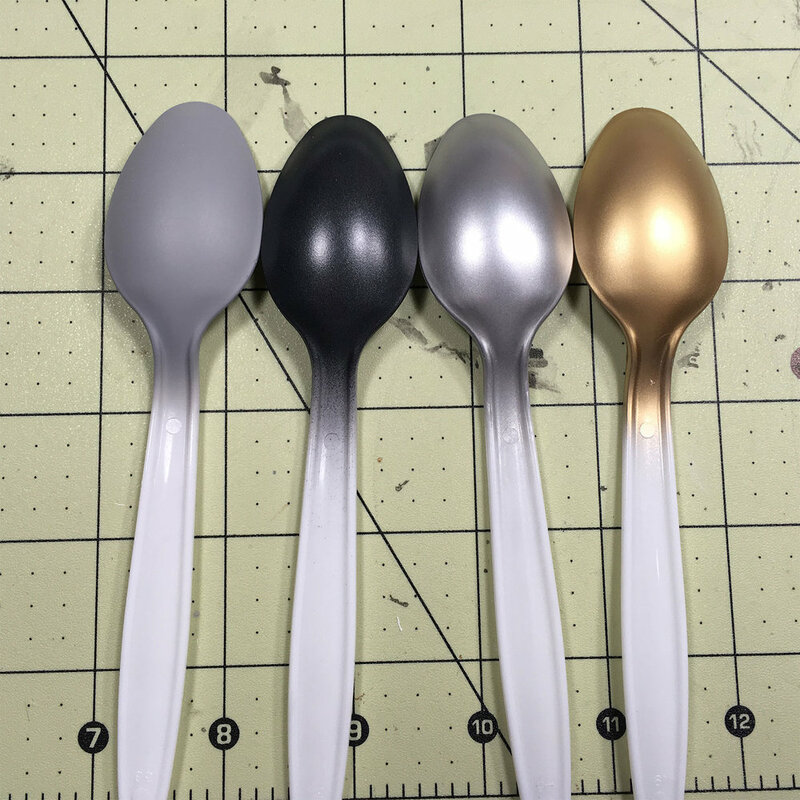 Not the most efficient stripper, but if you wanted to have a silver or candy color shiki, this might be an easy way of achieving it. Medium amounts of stripping had occurred by the seven hour mark. I would suspect that if it was left in longer that it would strip the plating completely. Minor chipping at the seven hour mark, but not as efficient a stripper as some of the other chemicals. This is the clear winner by a large margin. At the seven hour mark all signs of plating have been eliminated with no ill effect to the plastic. It's not brittle, or soft. 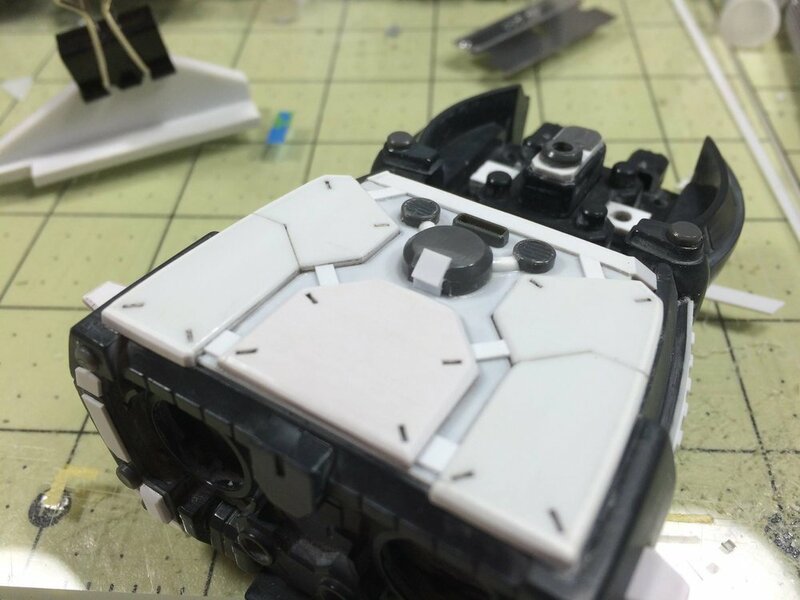 This will easily and quickly take off the Hyaku Shiki 2.0 plating and leave you with a nice bare plastic to paint over. I would suspect that any industrial strength degreaser (Purple Power) would have the same characteristics as the brand that I tried. Keep in mind that formulations and chemical strengths will vary from country to country and even state to state, so you may experience different results where you live, but as far as I can tell the industrial strength degreaser is the clear winner in this contest. 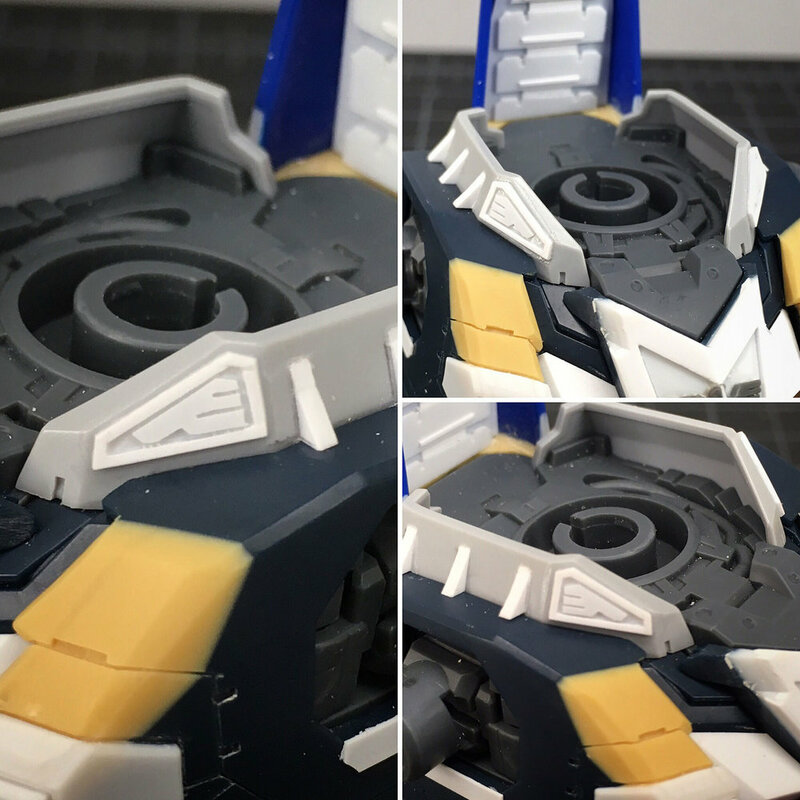 I highly recommend it if you're looking to strip the plating off your Hyaku Shiki 2.0!